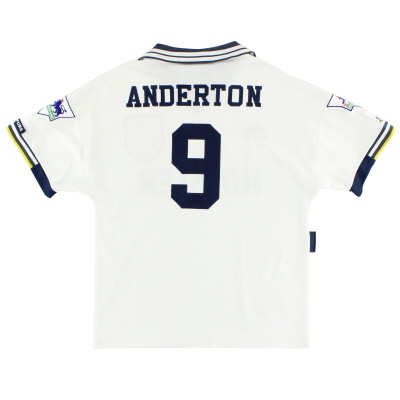 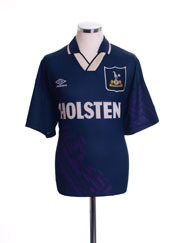 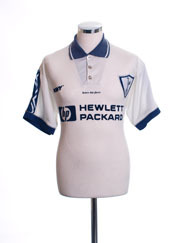 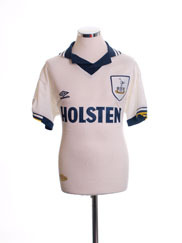 Formed as ‘Hotspur’ in 1882, it took a full 16 years before Spurs settled on the lillywhite shirts and navy shorts that was to become the permanent team kit - a colour scheme seemingly inspired by the highly successful Preston North End team of the time who had recently won the League and FA Cup double. 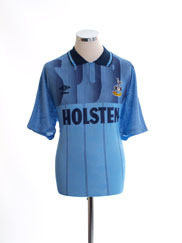 Hotspur’s first outfit was all-navy (a combo worn many times since by Spurs as an away kit) followed two years later, along with a change of name to ‘Tottenham Hotspur’, by a pale blue and white halved shirt that was brought back to life as a special commemorative kit in 2007 by Puma. 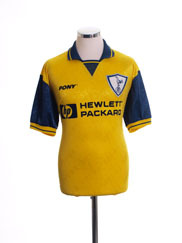 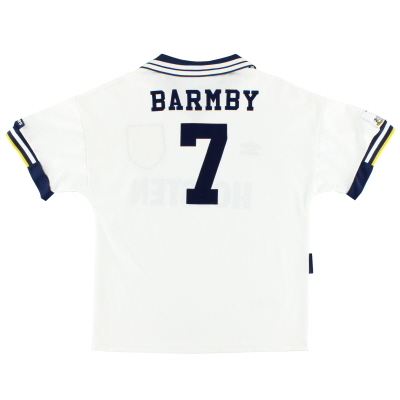 Navy proved the club’s most popular away colour until the late 1960s when yellow began to be worn more frequently away from home. 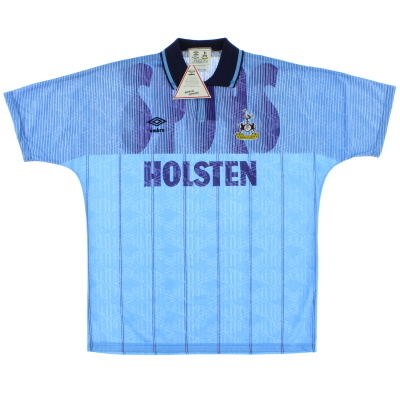 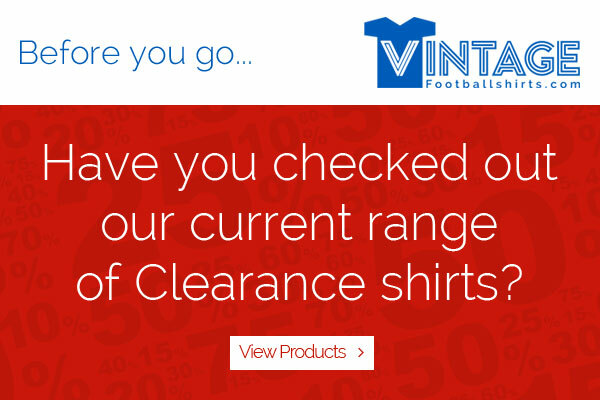 Today pale blue also makes regular appearances in Spurs’ travelling kitbag. 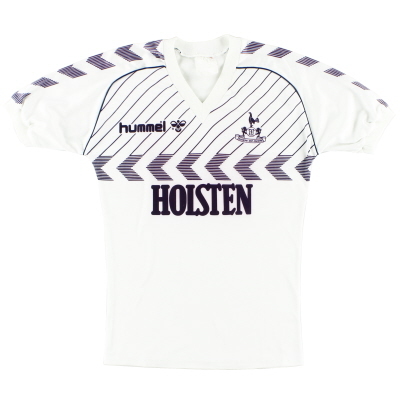 For many fans, brewers Holsten, who have enjoyed two spells at White Hart Lane, is the brand most associate as Spurs’ football shirt sponsors. 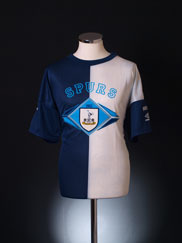 In 2002 when travel agents Thomson were appointed as the club’s new sponsors there was disquiet amongst the Spurs faithful due to the appearance of Thomson’s red logo on the lillywhite shirts. 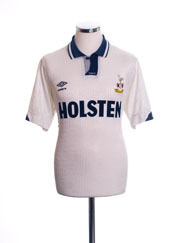 Red, of course, is commonly associated with Spurs’ North London neighbours Arsenal with whom little love is lost. 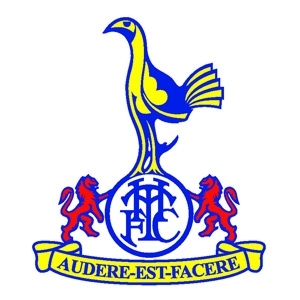 However a glance into the past reveals that the club wore red as their home colour from 1890-1986, and as a change colour a handful of times in the 1920s and 1930s. 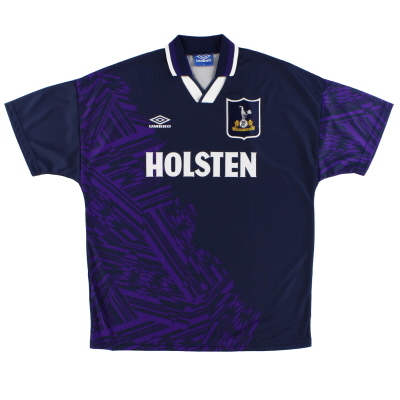 It seems the colour is not as alien to the White Hart Lane palette as once thought!